Denton Independent School District in Texas has designed a custom-made charging cabinet that can store, charge and deploy up to 20,000 devices in the district. The announcement was made at the TCEA conference in Austin, TX this week (Feb. 6-8). Denton ISD partnered with mobile deployment solutions provider LocknCharge to design a customized Carrier 15 Charging Station that is wall and desk mountable and can simultaneously charge 15 tablet or laptop devices. LocknCharge is exhibiting this week at TCEA in booth 1935. 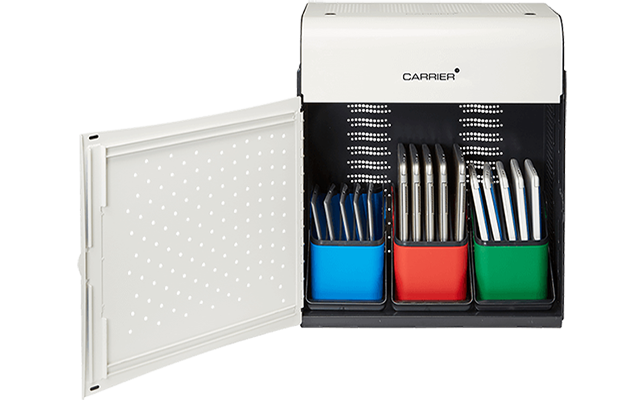 To learn more about the Carrier 15 Charging Station, visit the LocknCharge site.